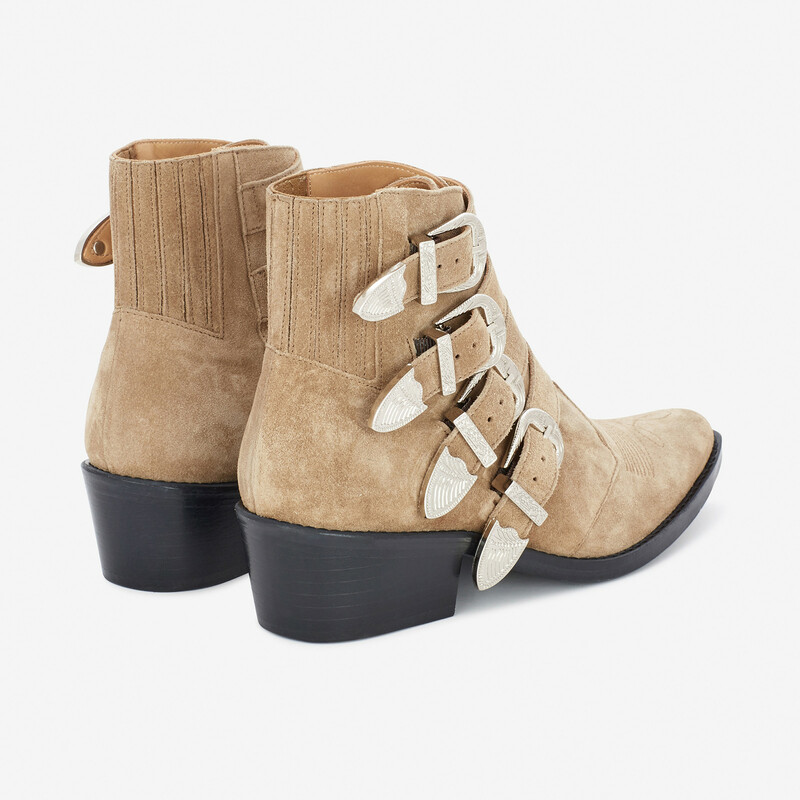 Toga Pullas refined Western inspired boots with stacked cuban heel. Classical topstitch detailing on the pointed toe. High toe spring. Adjustable multi buckle fastening with engraved detailing. Covered elasticized gusset at the back of the ankle part. Leather sole with rubber tab under the heel. Fits true to size. 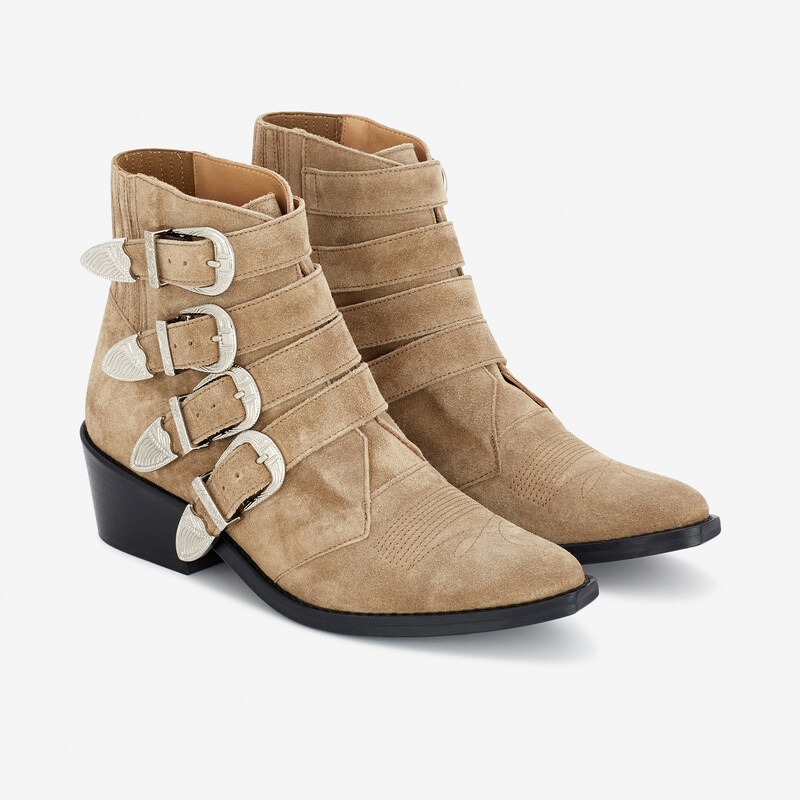 1 x Khaki Buckled Suede Boots was added to your shopping bag. 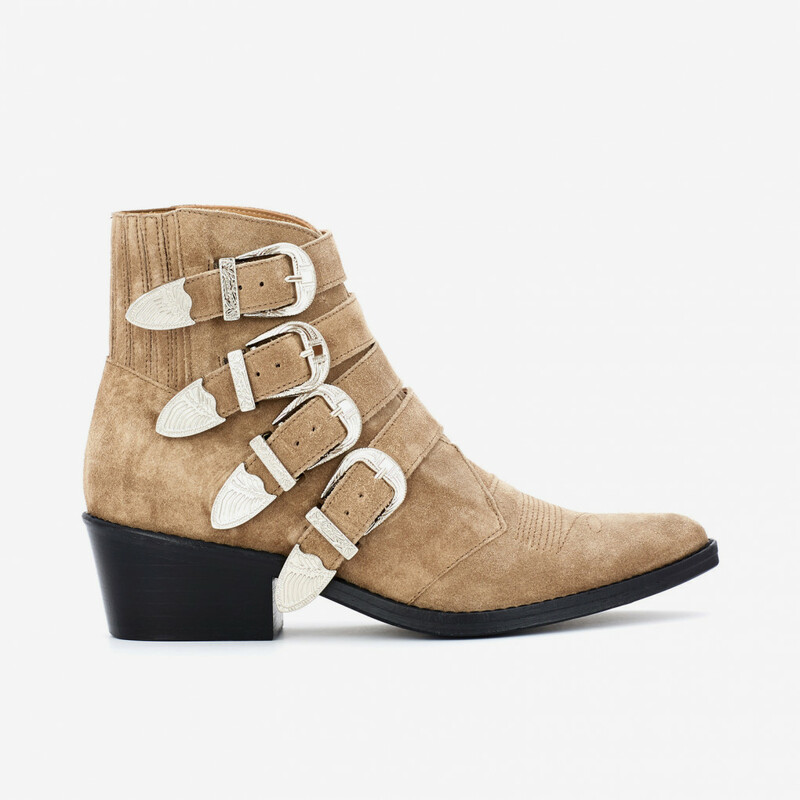 1 x Khaki Buckled Suede Boots was added to your wishlist.